The Roland TR-808 Rhythm Composer is one of the most critical pieces of equipment in music, spawning, and flowering countless genres. From early 80’s pop classics to modern underground trap, sounds from the TR-808 can be heard across the board. Introduced in 1980 to compete with the more expensive Linn Drum, the affordable TR-808 found itself in the hands of young musicians everywhere. The TR-808 broke into the mainstream with Yellow Magic Orchestra, influencing Marvin Gaye’s “Sexual Healing” and Whitney Houston’s “I Wanna Dance With Somebody”. Despite the popularity of the machine’s sound, Roland discontinued the TR-808 in 1983 due to poor sales. The TR-808’s ability to spawn genres; see Afrika Bambaataa’s “Planet Rock” for the machine’s impact on Hip-Hop, has kept it very much at the forefront of Music for the past 30 years. As much as the hardware device is no longer in production, you can still access those legendary sounds for your Digital Audio Workstation! This article explores eight of the best TR-808 drum machine sample sets on the market today. Find the sounds for you, and add the timeless classic into your productions. Below is a short list of the 808 drum samples we talk about in this article. Scroll down for more details or click for audio demos. 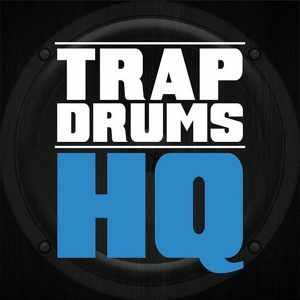 First up we have Modern Samples – Trap Drums HQ. This collection contains over 300 individual samples, recorded using analog drum machines and analog hardware. Each sound has been mixed to perfection, with the analog signal path solidifying authenticity and vibe. As well as the 300+ individual samples, there are also 63 bonus samples included. These bonus samples contain a big kicks expansion pack, a clean 808 drum kit, and a clean 909 drum kit. Although this kit is specific to Trap as opposed to a specific 808 recreation, there is an excellent collection of 808 samples within Trap Drums HQ. The care that has gone into creating this pack is a big thumbs up from us. Every sample sounds superb! They’re processed enough to allow you to drag and drop into your track, but also with enough headroom to tweak to your own needs. There’s also a dedicated 808 drum pack as part of this package. This allows you to program within your DAW as you would the hardware device! The final big love for this pack is the tuned 808 kicks. Having a kick tuned to the key of your song allows the low end of your tracks to stay harmonic. All in all, another great pack from Modern Samples. 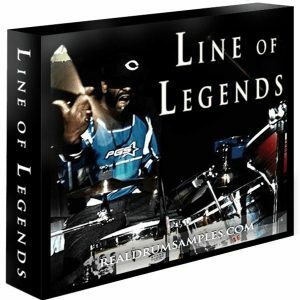 Line of Legends by Real Drum Samples boasts a collection of ‘all the drum sounds you will ever need’. This collection contains over 380 samples, recorded using vintage drum machines and an SSL G+ 4000 console. The SSL G+ 4000 is to Hip-Hop what a Gibson Les Paul is to Rock n Roll. Google photographs of Dr. Dre in the studio, and you can bet he’s going to be hunched over his SSL! This method of capturing Line of Legends ensures the samples can compete with the drums of the best Pop, Hip-Hop, and R’n’B tracks today. ‘All the drum sounds you will ever need’ sounds like stock marketing filler, but this pack is proof that you can invest in nothing but killer. The 70+ 808 sounds within this collection sound incredible. The 808s include kick, snare, hat, and toms. The kicks have that unmistakable, powerful boom. The snares are crisp. The hats sizzle and scream TRAP, and the toms are thundering. The samples are well organized and processed to present maximum punch! This pack is used by the people behind Bruno Mars, Beyoncé, Rihanna and other industry heavies. If creating contemporary, competitive beats is your game – this pack is for you. 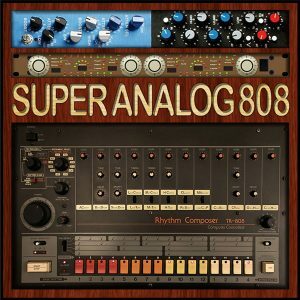 Super Analog 808 from Gold Baby is not another TR-808 emulation. 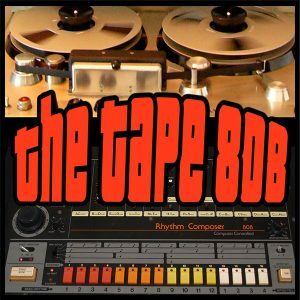 These 808 drum samples has been recorded at 96 kHz / 24 bit. Sampling an analog drum machine with such high bandwidth means that this collection is more representative of the original analog signal. A total of 1168 WAV files have been captured as part of this collection, including pitched bass drum and conga sounds. The instrument patches within Super Analog 808 are compatible with Battery 3, EXS24, Guru, Maschine 2 and Kontakt 3, allowing the drum machine emulation to be programmed using MIDI. No other 808 sample pack in this article can boast as many samples as Super Analog 808! Each hit is different in tonal variation and velocity, allowing a more realistic 808 pattern to be programmed. The biggest strength for us is the Instrument Patches. Due to the number of samples that were captured for this pack, the patches make use of extensive round robin mapping for a more analog feel. This round robin means that no two adjacent samples will be identical, and thus the programming of your drum part will sound less tired; identical samples tend to send the ears to sleep after a while! Another favorite feature of this pack is the tuned samples. As discussed with previous packs, a tuned bass drum is a powerful asset! Having access to tuned congas as part of this collection allows melodic percussion to be programmed, reminiscent of many early 80s classics. A perfect pack for those who prefer working with instrument patches, and want to get as close to an original TR-808 as they can. Gold Baby? Don’t they already make an 808 kit? Yes! Yet, Tape 808 is completely different. 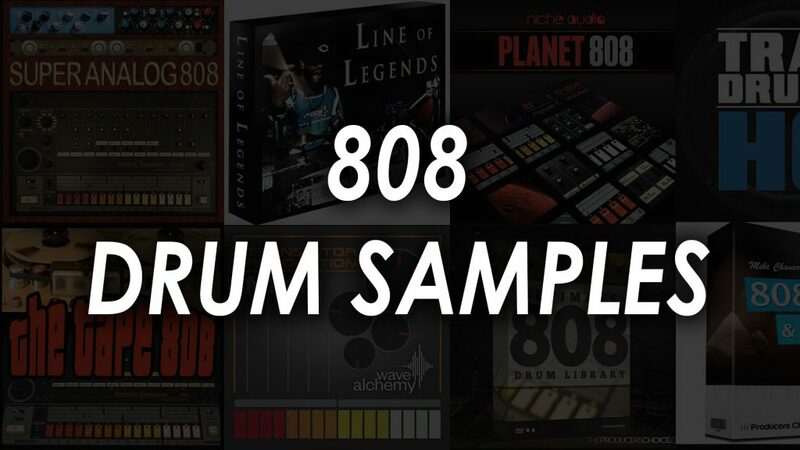 This 808 drum sample pack is a collection of 400+ samples taken from two separate TR-808s. All 808s are created equal, right? Wrong. As with all analog circuitry, no two machines operate the same, and thus this collection opens up a whole load of subtle tonal differences between the two machines. As well as that, the 808s have been recorded onto an Ampex valve tape machine; as well as other analog hardware, to inject every drop of analog gorgeousness into these samples that they could. Erm, the analog-ness? If you A/B between Tape 808 and Super Analog 808, you can hear a tonal difference right away. The harmonic saturation and tone that’s been imprinted upon the Tape 808 samples are apparent. The vibe is even more analog, providing you with a sample pack that represents the sound of an 808 in the studio in 1983 as close as you’re likely to get it. The bass drum has all the low boom we’ve grown to love about the TR-808. The snare is punchy. The claps have the ambiance and attitude of the original machine. The open hi-hat sizzles like the real thing and the toms cry ‘Sexual Healing’. If you’re not interested in super produced 808 packs, desire authentic, analog tone and the room to process to your heart’s content, this is the pack for you. Ideal for producers of any genre needing an authentic TR-808 sound. 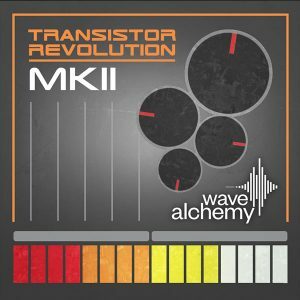 Transistor Revolution MKII from Wave Alchemy is a software instrument emulation of some of the best-loved analog drum machines in music. Extreme depth and focus has gone into capturing the groove, immediacy, and tone of the analog machines they emulate. It has taken 3 years of research, development and 25,000 samples to bring what Wave Alchemy claim to be ‘the most accurate emulation of the TR-808 and TR-909 ever created’. Transistor Revolution MKII is available for Ableton Live, Kontakt and Maschine. Transistor Revolution MKII is one of the highest quality software instrument emulators we’ve ever used. The sampling is superb. The tonal qualities of each component reminiscent of the original hardware device. The graphical user interface is very intuitive and representative of the original TR-808. The most significant feature of the unit is the step-sequencer, accent control, sync, swing/shuffle and extensively advanced parameter settings available. This feature set is so close to the original device that it’s easy to forget you’re tweaking a software emulation! There are also a bunch of presets included to further the authenticity. These presets include the MPC60 and SP1200 samplers, two devices as important as the TR-808 in crafting the sound of Hip-Hop. This is a terrific piece of software, ideal for any producer wanting that famous 808 sound. The addition of MPC60 and SP1200 presets makes the emulator ideal for anybody working in Hip-Hop, Rap and R’n’B. The range of tonal opportunities from super clean to processed makes Transistor Revolution MKII perfect for the producer who loves tweaking. Load up the software, and start bashing out your MIDI beats! If you’re seeking modern, punchy and polished TR-808 sounds for your productions, Niche Audio has the pack for you. 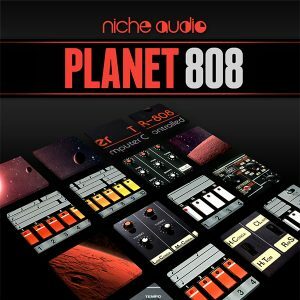 Planet 808 is a collection of well sampled, edited and processed TR-808 sounds. Each element of the TR-808 has been recorded many times in different states. These states include velocity, tuning, and decay to bring you 250+ 808 samples. If you’re looking for a collection of 808 sounds full of inspiration, vibe, and authenticity for your Electronic / Hip-Hop, this is the pack for you. The stock 808 sounds in this pack sound excellent and have not been processed too heavily. This allows plenty of room for the producer to process the samples and tailor the sounds to the beat. Retuned toms, congas, and kicks have been manipulated to create dramatic sub drops, basses, and melodies. Being able to take the famous 808 conga and cowbell sounds and program a melody allows you to keep the groove going with the percussion and introduce more melody. These packs have been preconfigured for both Ableton Live and Maschine. What we’re most impressed with is the combination of kits available, as well as the starter patterns. Having access to 15 different kits allows you to audition drum sounds with ease, flicking until you find the right preset for your beat. Time can kill creativity, so speed hacks like this are fantastic. The 56 different starter patterns provide a great deal of inspiration to help kick-start your production, too. Try loading up a starter pattern and running it while you audition the different kits. Before you know it, you’ll be on your way to finishing the next main room smash! I could’ve written another thousand words exploring the ins and outs of each of these 808 sound packs, ways you could use them and a more critical analysis of each of the sounds. I didn’t. Instead, I implore you to go and visit the manufacturer’s websites and hear the sounds for yourself. Discover what’s available with each pack, dive into the creation side a little more and hear the quality speak for itself. Though the hardware 808 only survived three years, the sound of the TR-808 has been sought after for almost 40 years. Put pop radio on, and you’ll hear an 808 sample in almost every song that comes on. Each manufacturer within this article produces a different twist on the TR-808 sound and can hear how I could use every pack explored above. Whether you want to add a little boom to a Heavy Metal track, need sizzly hat loops for Trap or looking for some heavily processed 808s to breathe life into your Techno, this article has a pack that’s perfect for you.